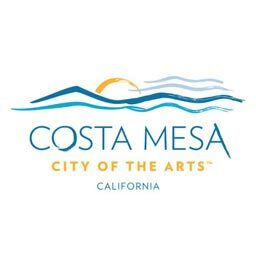 Tucked just above the beautiful shores of Newport and Huntington Beach is one of Orange County’s oldest and most historic cities — Costa Mesa. 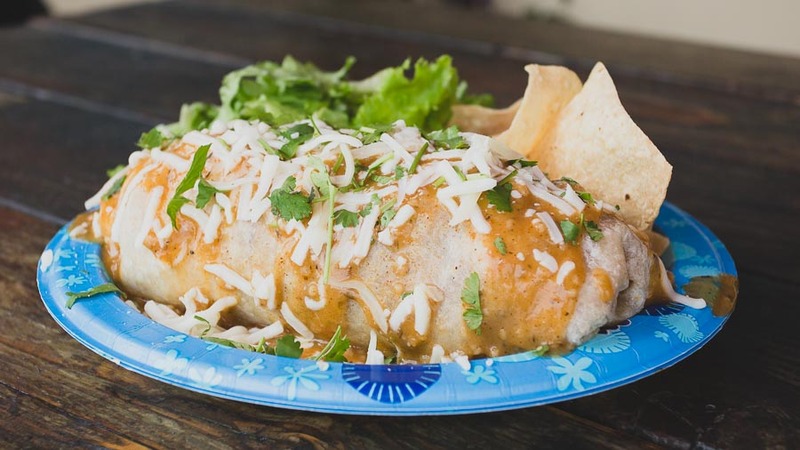 Costa Mesa also happens to be the local Chomping Ground of our friend and popular Instagram foodie, @Dradevsfood. 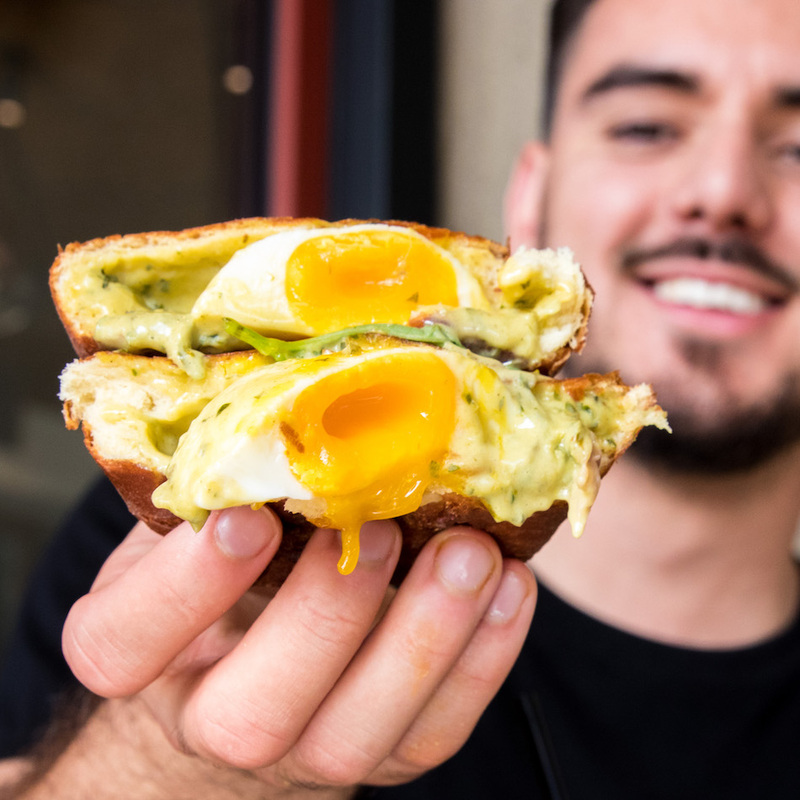 Join us as we take a ride with Drade to see how he spends his time cruising through local eats within Costa Mesa’s vibrant and ever-expanding food scene. First stop, Wild Goose Tavern, which is known for a robust list of signature cocktails, gourmet burgers and a super laid back vibe. 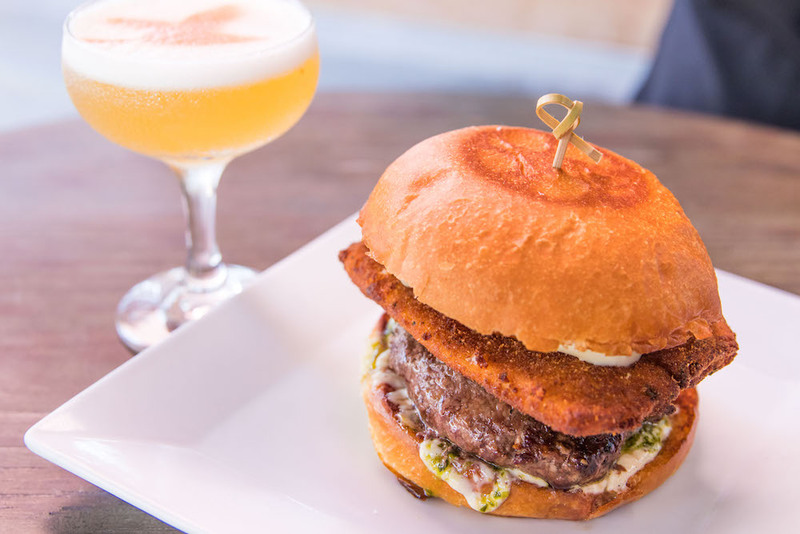 Drade highly recommends the caprese burger, a juicy burger stacked with a thick slice of fried mozzarella, cilantro chimichurri, and garlic aioli. Don’t forget a Wild Goose Sour to go along with your burger, though. This fresh take on the classic whiskey sour – made with Basil Hayden’s, angostura bitters, egg white, and lemon – is not to be missed. Donuts, anyone? If you’re in Costa Mesa, Sidecar Doughnuts is a must-see for any level of donut lover. Sidecar has been supplying the Orange County scene with delicious, colorful and seasonal donuts for years. If there’s a must-have at Sidecar, it has to be the Eggs Benedict Donut — made with a poached egg, Benton’s ham, and infused with a homemade basil hollandaise. Now it’s time for a steak dinner at Boathouse Collective. One of the most popular plates is the off-the-menu – but always available – 20 oz. ribeye served with yakimo, a.k.a. Japanese sweet potato, and miso butter. 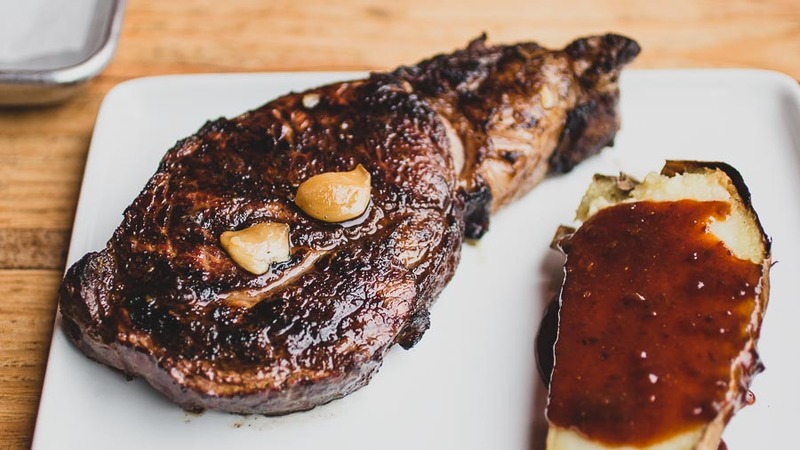 This perfectly cooked, juicy steak is packed with flavor, and the miso butter provides the perfect depth to the dish. One of the greatest things about Costa Mesa’s proximity to the ocean is the access to super fresh, super delicious seafood at all times. If you’re in the mood, there’s no better spot to check out than Catalina Fish Kitchen. While there’s plenty to choose from, do yourself a favor and go with the LSB Burrito stuffed with Lobster, Shrimp and Bacon. This surf and turf burrito is smothered in a homemade gumbo sauce (per request) and is a surefire way to make all your Instagram followers jealous. 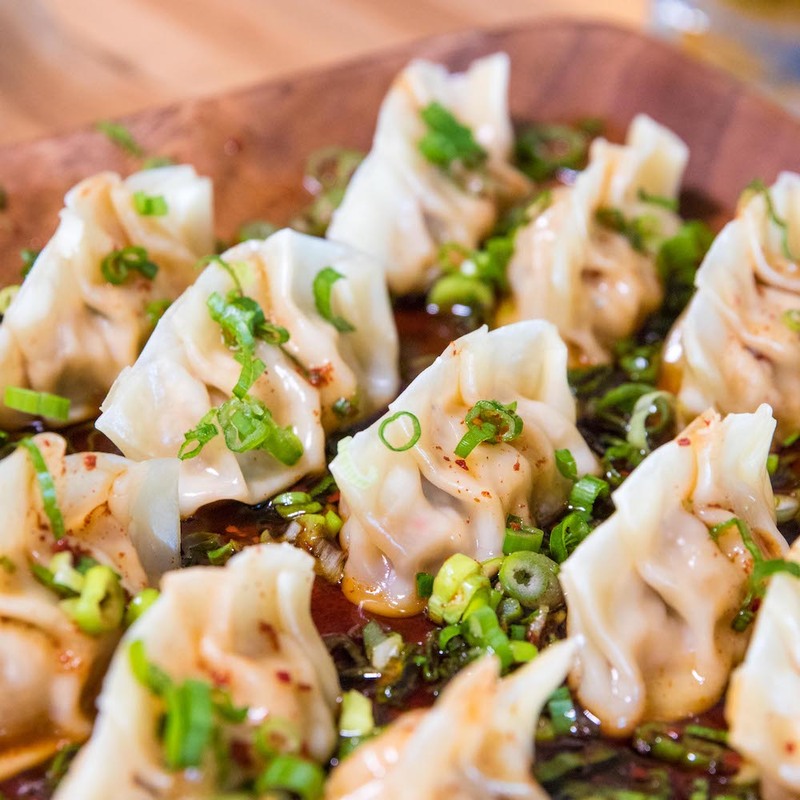 For some lighter fare, Oak & Coal is your go-to spot for some Kimchi Dumplings. These perfectly handcrafted dumplings are stuffed with chicken and pork and will become an instant favorite. Thanks for showing us around, Drade! Make sure to visit https://www.travelcostamesa.com/eatcation/ to learn more about the foodie scene in Costa Mesa. And don’t forget to tag all your pics with #eatcation!